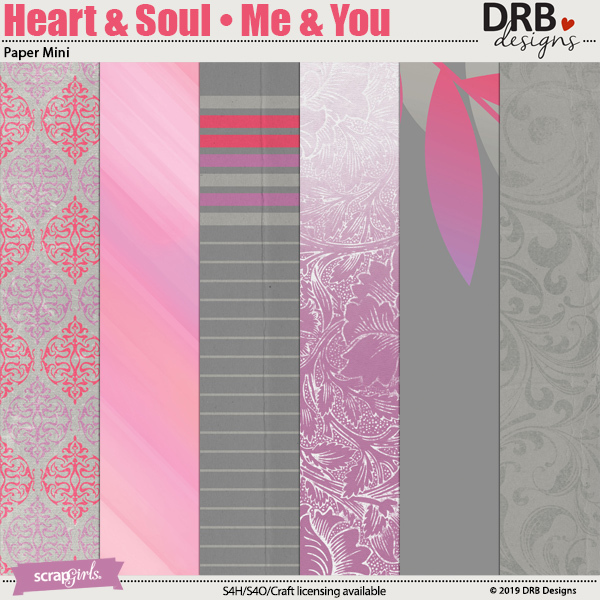 Heart & Soul • Me & You Paper Mini includes six, 12x12 inch, coordinating background papers which are quality checked and saved as high-resolution, 300 dpi, JPG files. 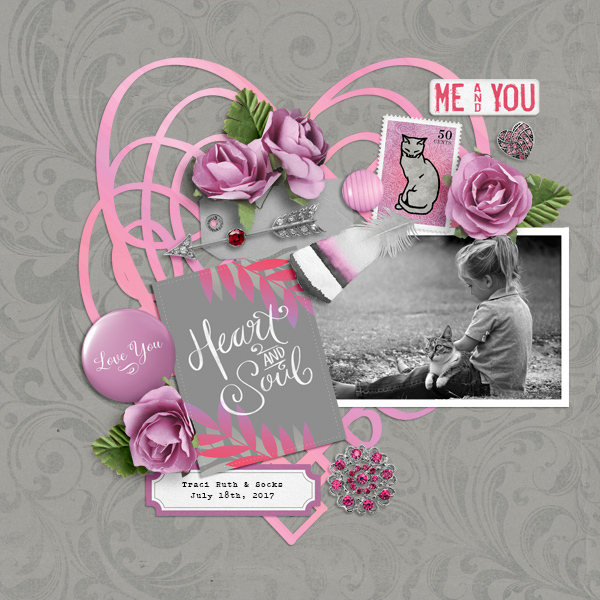 Heart & Soul • Me & You Paper Mini is a part of Heart & Soul • Me & You Collection Mini. 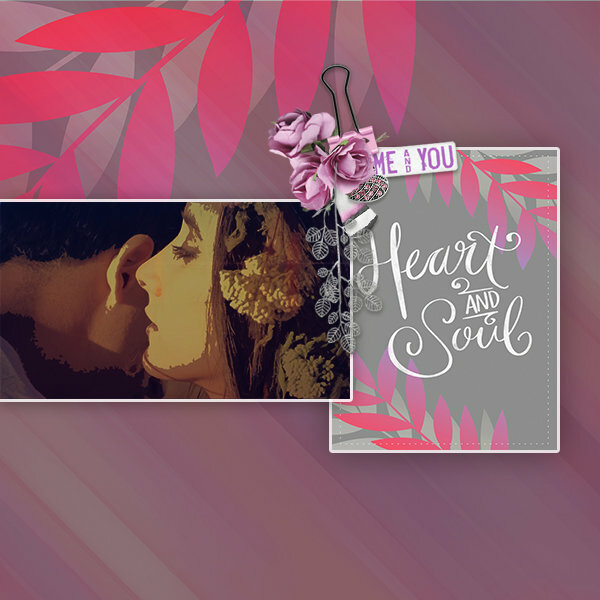 Make quick and easy modern digital scrapbooking layouts with this set 3 page templates. 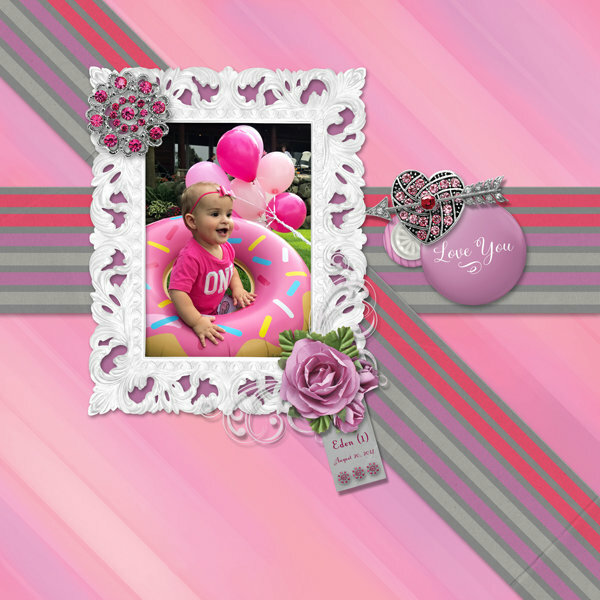 This set comes in 12x12 & 8.5X11 Sizes. Your download will include both PSD & PNG File formats. Easily create layouts of treasured family recipes with these digital layout templates. Includes editable drop shadows, margins, photo spots, and editable text and titles. These make great printable gifts for family and friends. 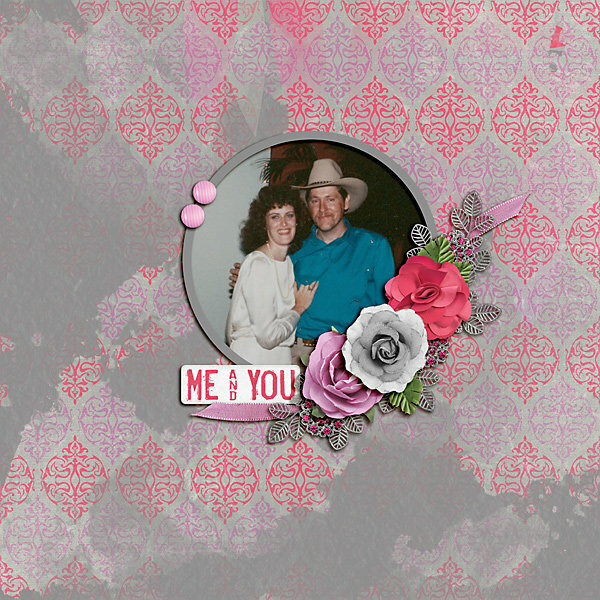 Includes 6 12x12 patterned papers, 7 12x12 shabby solid papers, and 50 elements.